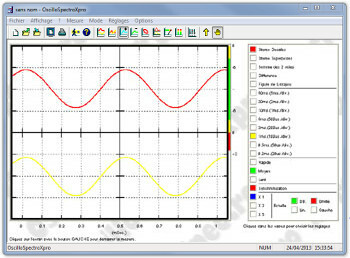 This program gives to your pc the functions of a audio spectrum analyzer and numeric oscilloscope for audio control. Domains of application are : acoustic measurement, sound analysis, sound system settings and control, the maintenance of recording devices, electronics, telecommunication and all the domains where computers and audio devices are connected. Software available immediately with automatic activation.